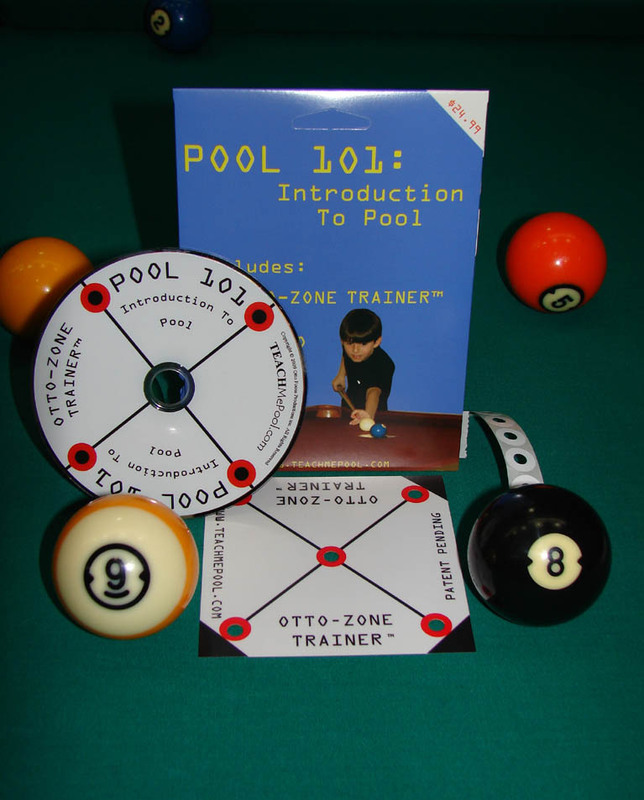 The pool 101 DVD along with the Otto Zone Trainer is the fastest way to learn pool or billiards. 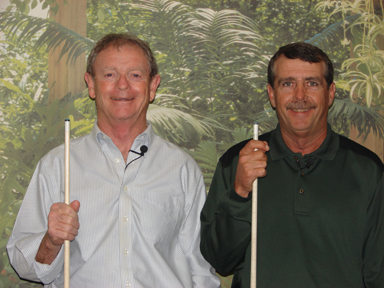 This is the first billiards trainer to receive the ACS "Product Seal of Approval"! 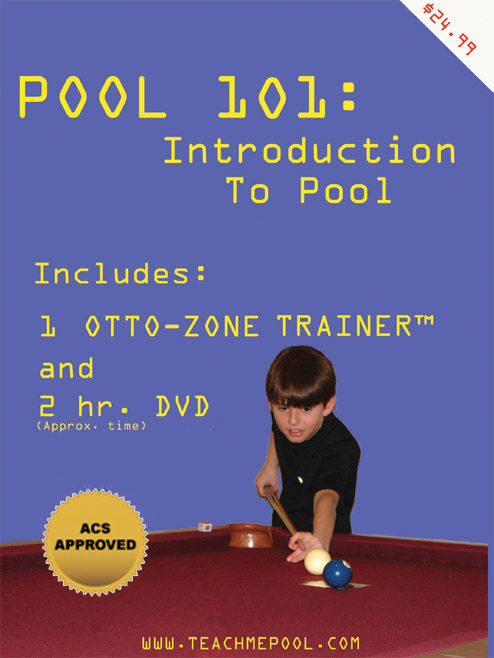 Included is the 110 minute Pool 101 DVD along with the Otto Zone Trainer. Get yours today while it is on sale! Plus 7.25% sales tax inside Il. 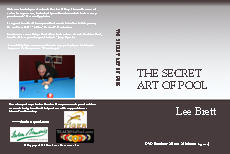 as well as covering the Sid System for kicking. 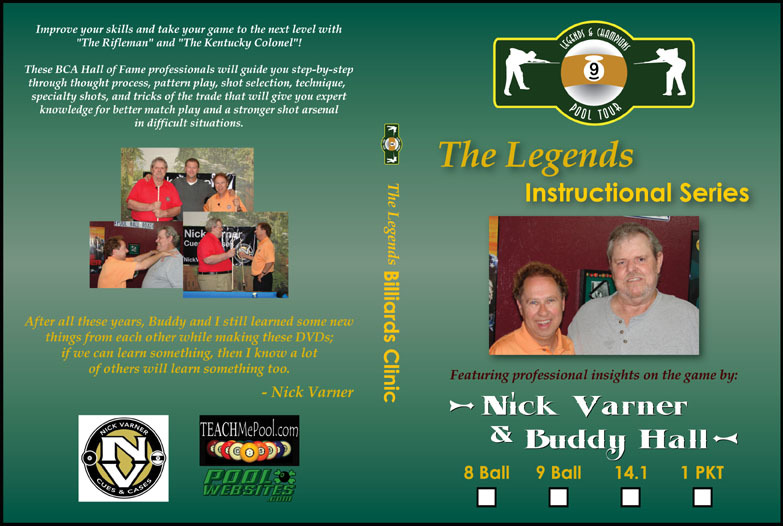 Speed control and applying these lessons to position play are also covered. first video, Pool 101 An Introduction to Pool, and is a great addition to first video. 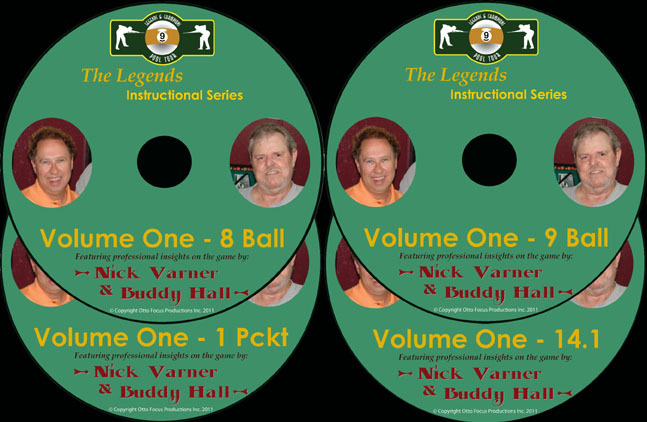 Order Now and be the first to receive these Great new DVDs!!! 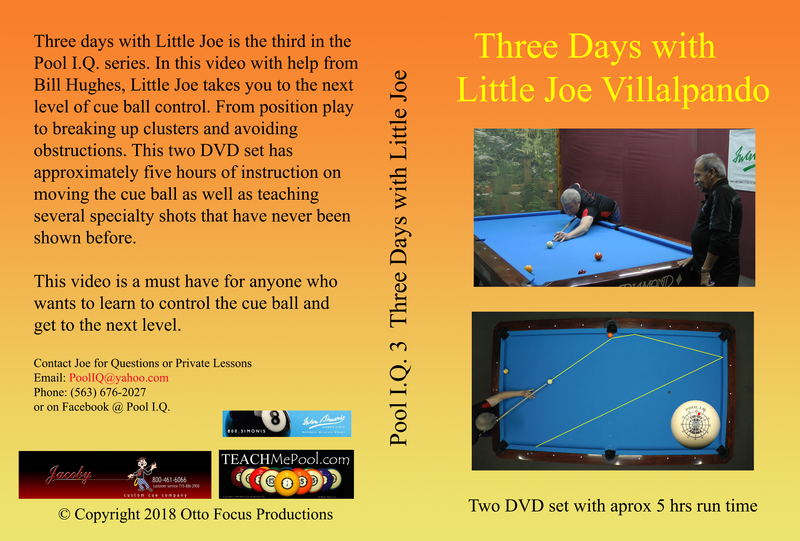 All DVDs are over 2 hours! 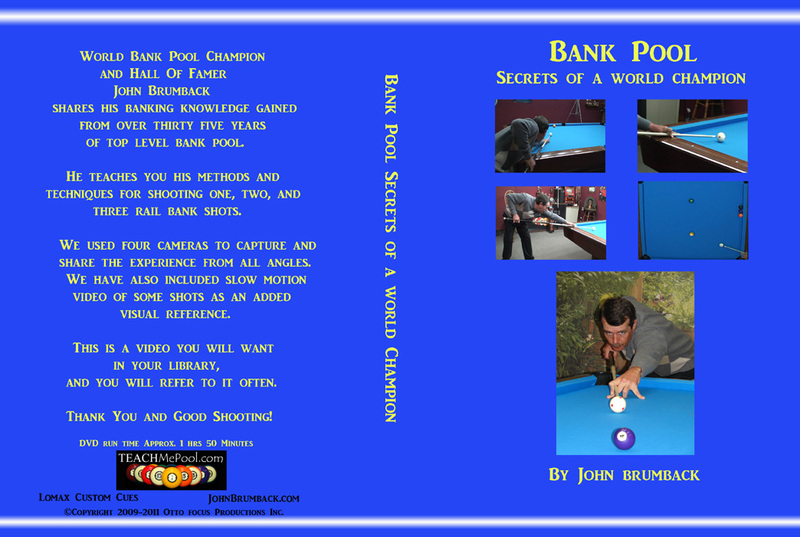 make bank shots the way the professional bank players do. 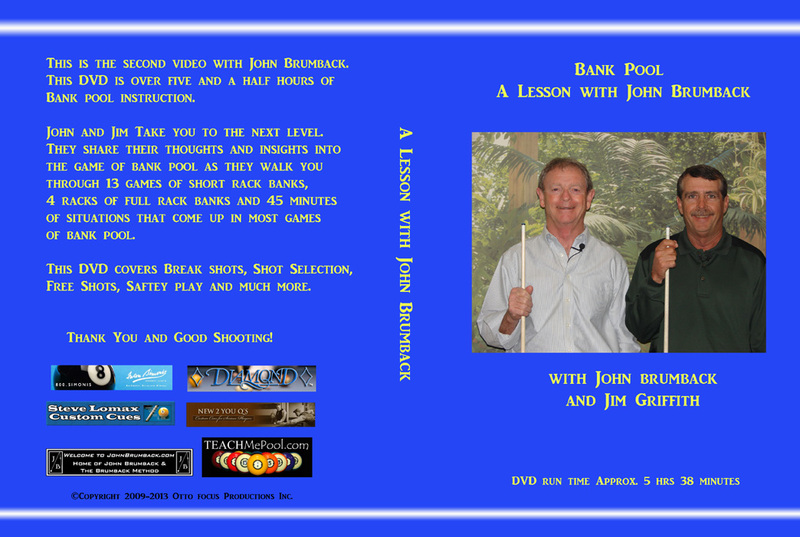 There is a lot of great information in this DVD. 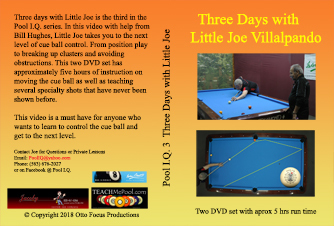 You can combine Johns DVDs below for a savings! 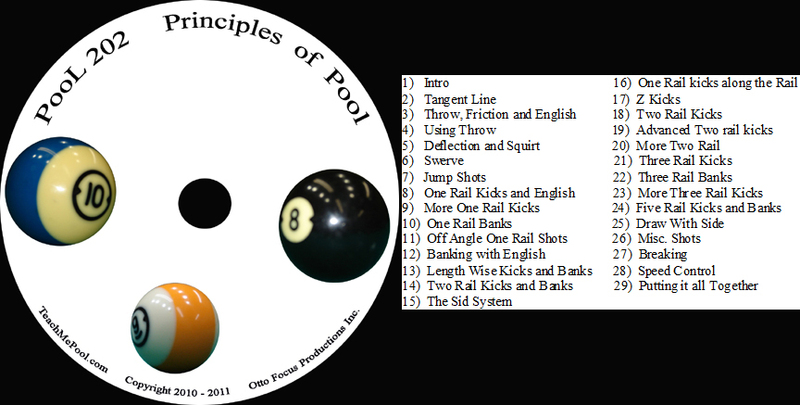 that come up when playing bank pool. Use the contact page for other payments.